Maintaining the reliability of mobile computing systems in the field is one of the biggest challenges facing today’s fleet professionals. These devices must perform vital jobs and maintain data flow in tough operating conditions. While there are several keys to a total mobility solution – software, hardware, connectivity, docking and mounting, and professional installation — having a reliable continuous power supply is the most critical factor to ensure productivity on the job site. Having an effective, in-vehicle power supply solution is many times more beneficial than simply drawing power from a vehicle’s system. 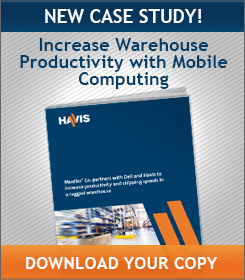 Keep a mobile office running, even when a vehicle is shut off. Help to reduce costs associated with idling. Maintain the constant flow of information needed to maintain efficiency. Operate in rugged environments and prevent vehicle batteries, as well as critical mobile office equipment, from dying. 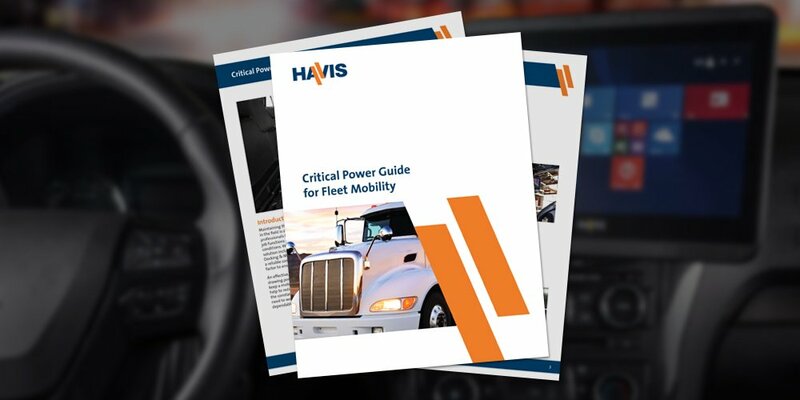 Ultimately, the right power supply protects a fleet owner’s significant investments in its vehicles, equipment and personnel. Finding the right power supply means finding the appropriate vendor. 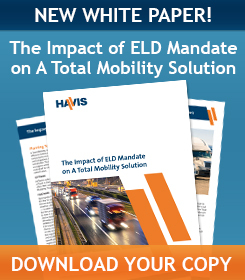 Your ideal vendor has experience designing in-vehicle mobile office solutions, understands all the components, and can provide guidance in identifying the right total mobility solution and power needs. With a range of power supply providers on the market, it is important to select vendors whose service and products meet the fleet’s standards for reliability and durability. Another consideration for choosing a vendor is its warranty and customer support policies. Power supply installations can be complex, requiring additional troubleshooting after purchase and installation, whether through warranty, return or repair programs. Planning for power is part of a good business strategy. Fleets see fewer interruptions and less troubleshooting when power is planned based on computing devices, vehicle types and other application specifications. At the same time, planning for docking, mounting and installing equipment will ensure that the solution operates properly in rugged conditions. In-vehicle offices can be found inside forklifts, carts, pallet jacks, cars, trucks and vans. Each application has a distinct set of considerations and requirements for selecting a power supply. Power management by design will help ensure a stable and reliable power source with the capacity to manage power through the entire cycle. When Josh Mueller, channel sales manager at Lind Electronics, works with customers to identify the appropriate power fit, he begins by asking a series of questions to determine the customers’ needs and the solution specifications. “Once the customer can answer questions about the device and installation, the rest of the solution falls into place,” Mueller said. A properly rated power supply is one that is compatible with the device or devices that it is powering. A power supply’s voltage must match the device’s voltage requirements. Falling below the voltage requirement may fail to power a device altogether, while regularly exceeding a device’s power rating can cause overheating or other damage. The vehicle’s application, make, model and year, will help determine voltage requirements for sourcing power and what installation options are available. Other accessories or devices, such as scanners, barcode readers, printers and keyboards, also require power. Some mobile office equipment may be powered off the computer or computer dock, while others may require an external power supply with its own set of requirements to ensure a properly rated power supply that meets voltage requirements. Mobile offices often operate in rugged environments. To get the most out of devices and equipment, they must be secured within the vehicle in a way that ensures the comfort and safety of the driver. Power supply solutions are no different, and may be integrated into docking solutions, or secured within the vehicle with a mounting solution. Understanding the power needs of the driver or operator who ultimately will be using the mobile office is critical. The choice of which power supply solution to use will affect the user’s work functions and productivity. Solutions that feature ergonomic and space-saving designs also help maximize comfort in the mobile office. Among the application issues to consider is whether the device will need power when the vehicle is not operating, as well as exposure to harsh conditions, such as rain and dust. Understanding the application requirements will help to identify the best power supply solution for the fleet. 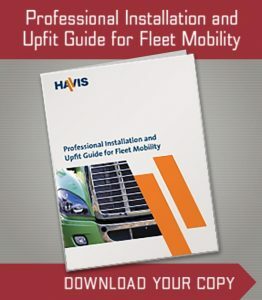 For more information about installing a productive mobile office solution, download the new whitepaper, Havis Critical Power Guide for Fleet Mobility. Inside you’ll find a more in-depth look at power supply varieties and installation so that you can maintain the reliability of your mobile computing system.